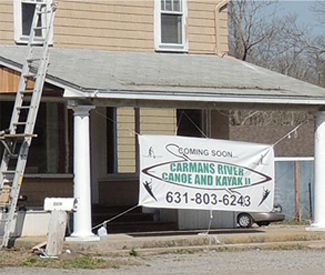 The Carman’s River Canoe & Kayak center is being renovated and the owner, Brad DeSantis has opened the rental booth with the shop opening to follow. 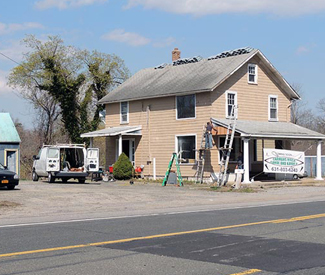 Brad has a wonderful vision for the center and sees it starting out with canoe & kayak rentals along with sales of boats, paddling equipment and supplies. His plans for the future include, an education center, a riverside café, assorted river tours, and an expanded line of boats, paddle boards, and equipment for sale. 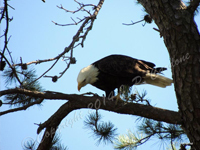 Plus, I have talked with Brad about offering waterscape photography workshops on-site. There are many new programs to be included as the center expands. Look for additional details here in the near future. Within Waterviews (pg. 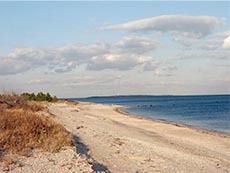 28), John Milnes Baker contributed an image of a hand-drawn map he had created in 1997 of the Carman’s River and Bellport Bay. In several emails, John and I discussed the excellent details he sketched including one of the small creeks that flowed into the Carman’s River. 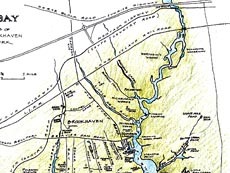 Modern day maps refer to this tributary as Yaphank Creek, however, on John’s map it was called Barteau’s Creek. When I asked him about this name change, John was surprised because when he was a young boy living in a home near the Carman’s everyone knew the creek as Barteau’s—named after the Barteau family who owned a farm bordering the creek. Now, in the historical references I have come across, the name Barteau dates back to the Brookhaven area (at the time actually called Fire Place) in the late 1700s although there are different spellings including Bartow and Barto. The mystery we’re looking to solve is how the name of the creek came to be called Yaphank Creek, especially since it is not located in Yaphank nor originates there. If anyone knows more details about this name change, please use the contact page and email the information. 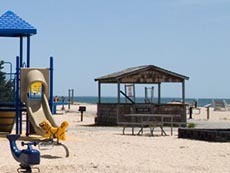 The Orient Beach State Park has re-opened. 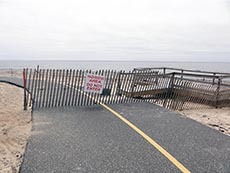 Following superstorm Sandy’s destruction of the waterside roadway, the park had closed for repairs. It officially re-opened to the public and can once again be enjoyed by visitors. 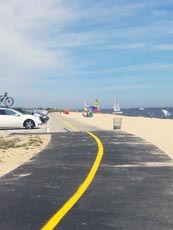 A recent visit to the wind surfer & small boat beachfront area of parking field #7 at Heckscher State Park in Great River, NY found that repairs to the path and parking area have been completed. 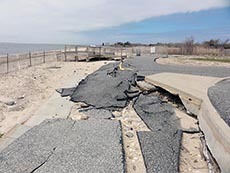 The area had suffered damage from superstorm Sandy and was closed to the public up to July 2013. 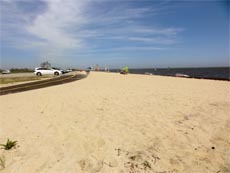 Readers of Waterviews might remember my description of this area which is not far from the mouth of the Connetquot River on the Great South Bay. However, the observation platform at this location was damaged and has been removed. 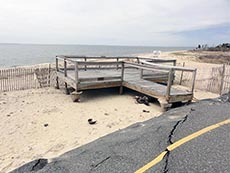 Following the storm, the platform was no longer anchored in the sand and the paved walkway along the shoreline had been buckled and uprooted. Hopefully, the observation platform will be rebuilt so that visitors can sit and rest looking out at the Great South Bay. It was recently reported that Kodak (Eastman Kodak Company) posted a profit for the first quarter of 2013 – this may not seem very important, unless readers of Waterviews remember how I pointed out in the “Moving Photography” chapter, that Kodak Corporation has been in bankruptcy while re-inventing itself and hoping to emerge as a profitable company once again. 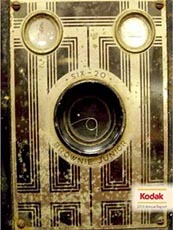 Remember that Kodak some years back, invented the first digital camera which was the beginning of the end of its very profitable film (and film camera) sales. A true, but sad, “Kodak” moment. 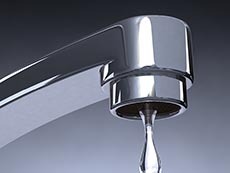 Water monitoring ended in May 2013 for a network of over 200 wells that are used to check on the water quality for the 5 boroughs of NYC and western Nassau County of Long Island. It seems that budget cuts dried up the money from New York City that contributed a major part of the budget for the monitoring program. This program, which dates back some 30 years, looked for contaminants, recorded water table levels, and tracked water flow from creeks, rivers, and other surface bodies. If they are no longer monitoring water quality – who is?